Join Kathy Sdao for this webinar on the seduction of Shock. Though you may refuse to ever use shock as a dog-training tool, some of your potential clients have used it (especially in the United States). And some will want to continue using it, in lieu of your suggestions of positive-reinforcement alternatives or possibly in addition to them. Each of us dog-care professionals must decide how to respond to this dilemma. In doing so, it’s beneficial to understand the unique power that shock has to damage the psychological well-being of the animals in our care and also to deceive its users regarding its efficacy. We’ll examine a few of the complexities of this emotional and crucial issue. 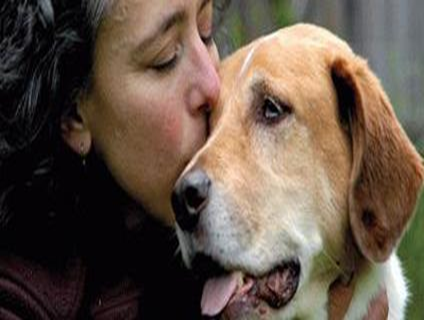 Kathy is an associate Certified Applied Animal Behaviorist based in Tacoma, Washington and has spent the past two decades as a full-time professional trainer for dogs and other animals. She has been honored to be on the faculty of Karen Pryor’s Clicker Expos since 2003. She also has trained animal actors, written for The Clicker Journal and the APDT Newsletter, served as a subject-matter expert for the Delta Society's Service Dog Education System, conducted rat-training camp for Terry Ryan's DogSense, instructed at Dogs of Course’s Instructor Training Course and appeared as the "Way Cool Scientist" on an episode of Bill Nye the Science Guy!